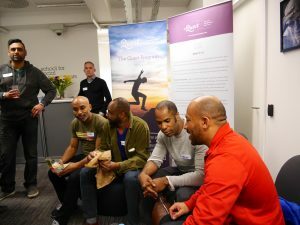 “The Quest Programme is a transforming voyage of Self rediscovery, reconnection, realignment and reignition” – Ade Adeniji, Co-Founder. The Quest Programme is a psycho-educational and experiential process that allows participants to create a life they wholeheartedly love. 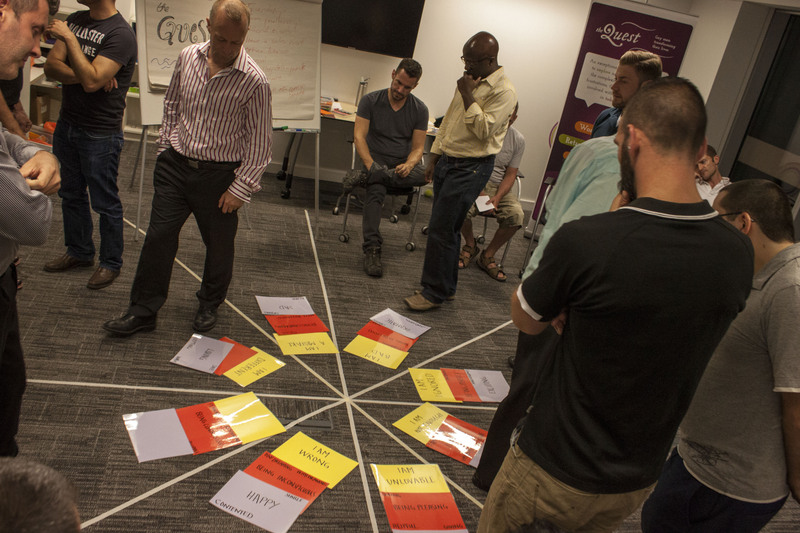 A team of professional Group Facilitators and certified Coaches take participants on an exhilarating and life changing journey that is intense, revealing, nurturing and profound. 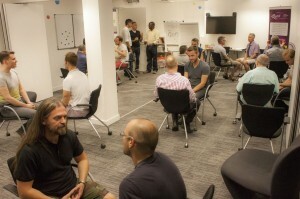 The Quest Programme, organised in groups of up to 16 gay men, draws upon the latest evidence based practices including – self-inquiry, discussions in pairs/triads, small and large groups, sharing memories, psychological exploration, mindfulness, book work, journaling, coaching, self reflection and contributions from practitioners including Brené Brown, Alan Downs and David Richo. 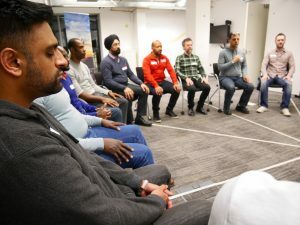 During the process, participants get to grieve the past, release thoughts and beliefs that are no longer serving them, and practice new behaviours and beliefs that move them forward to living a life of fulfillment, connection and authentic self expression. Preparation: Participants are asked make lists of reflections in response to a daily question for 6 days leading up to the face-to-face session. Friday (10am- 6pm): Introduction session. Preparing for the journey, setting intentions and establishing safety. Exploring significant life moments and self-defeating habits. Investigating early childhood experiences. Exploring Shame. Saturday (10am – 6pm): Investigating -late childhood and adolescence experiences, Exploring – Limiting Beliefs & Survival Strategies, Investigating – ‘Overwhelmed by shame’ and ‘Compensating for shame. Releasing grief. Sunday (10am – 5.30pm): Exploring – Adult experiences, Cultivating self-compassion and authenticity. Expressing intimacy. Taking a challenge. Forgiveness. Integration: Participants will take part in a 6-day email check-in, starting the Monday after our weekend together. There will then be three online (via Zoom) sessions to support attendees in embeding the insights from the weekend. These sessions will take place on the first three Sundays after the weekend. During the voyage, The Quest uses a map comprising of four main ‘ports of call’ (or significant milestones) – Investigation, Exploration, Release and Cultivation – each port serving as a platform to help you better understand your past and fully step into your present. WHAT IS THE PREMISE OF THE PROGRAMME? 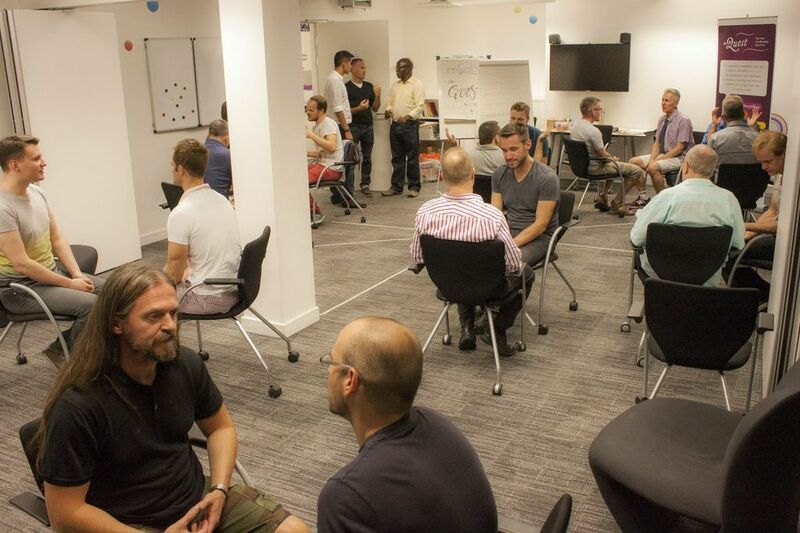 The Quest Programme is designed for gay men of all backgrounds and experiences, from personal development first timers to seasoned therapists. Diversity is essential to the success of the workshop and this is reflected in the diverse ages, physical abilities, ethnic backgrounds and income brackets of our participants. 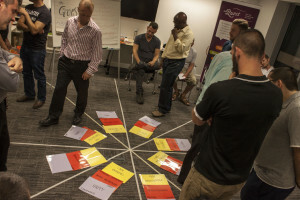 We also offer The Daring Way™ (based on the research of Brené Brown), for more information visit – www.daringeurope.com. You can read what other participants have been saying in our ongoing “My Story” series. A success. After the weekend I felt comfortable and safe being in a group of gay men. I had been seriously sexually assualted in a gay sauna. Go for what you are wanting for your self.